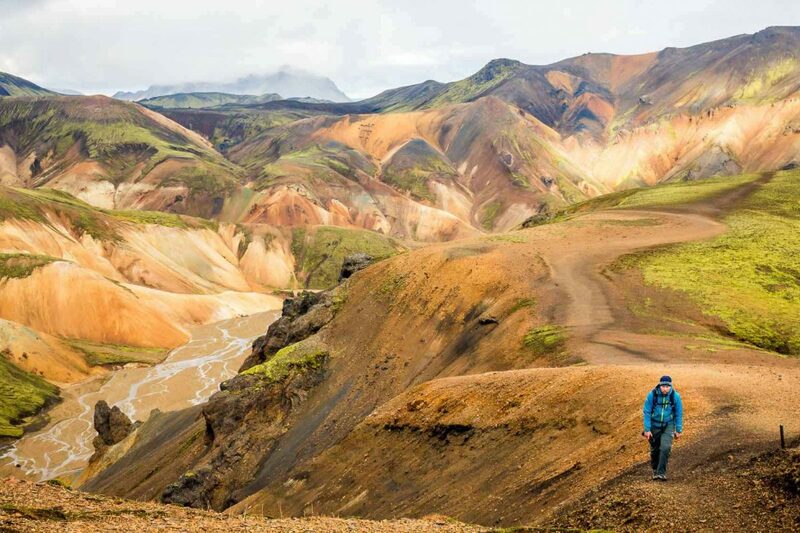 The Laugavegur trail is the best known trek in Iceland. 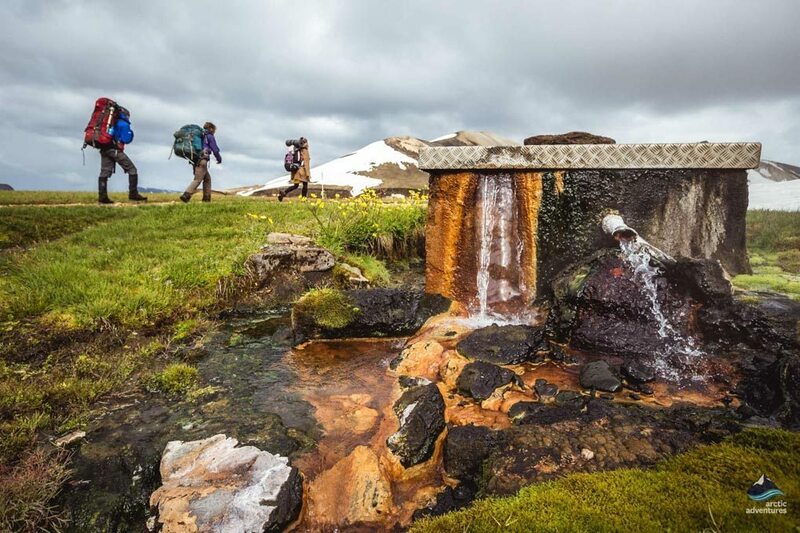 National Geographic has listed it as one of the twenty top trekking trails on the planet! 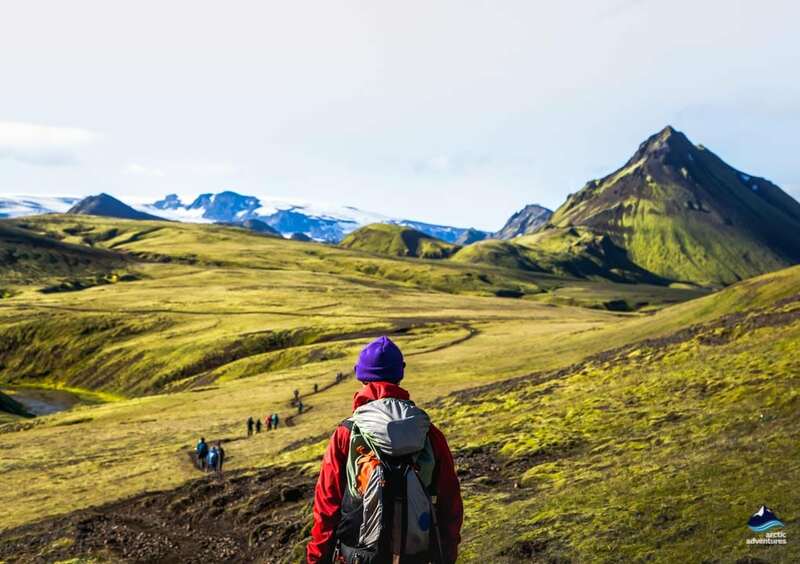 When should I hike the Laugavegur Trek? 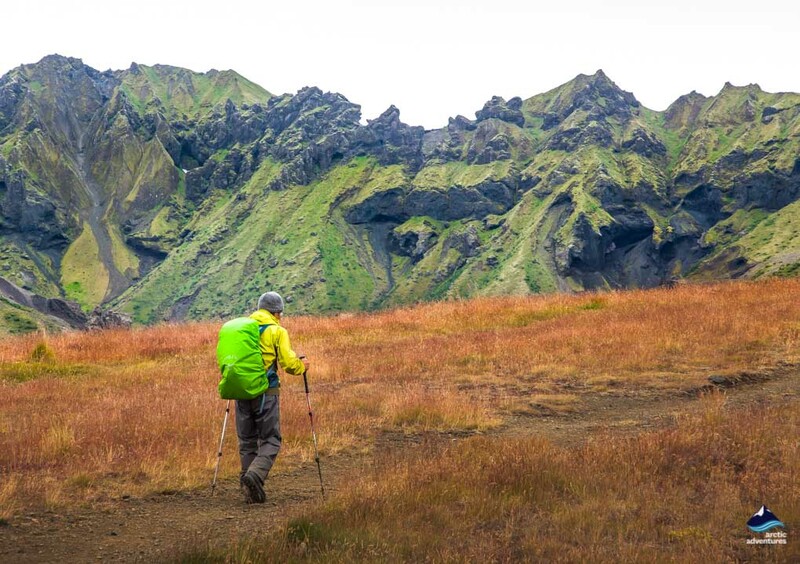 Where is the best place for photos on the Laugavegur hike? 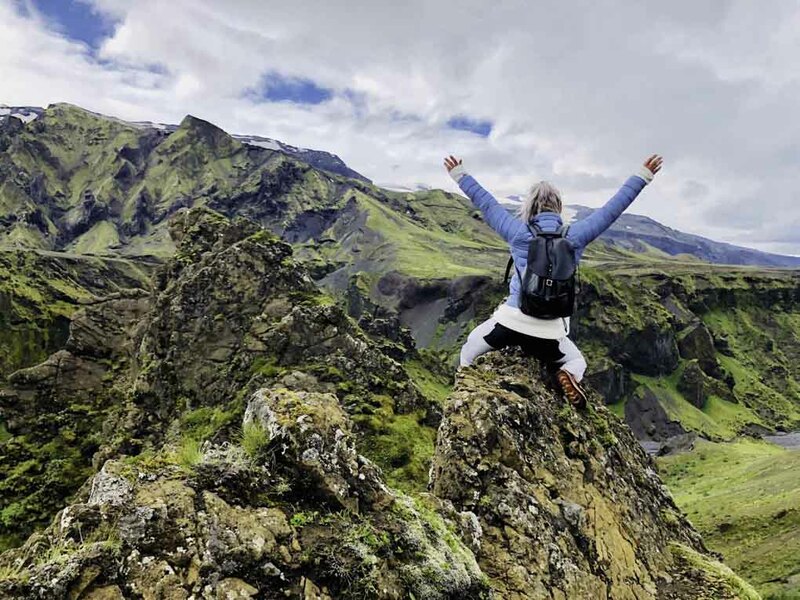 Will I get lost hiking Laugavegur? 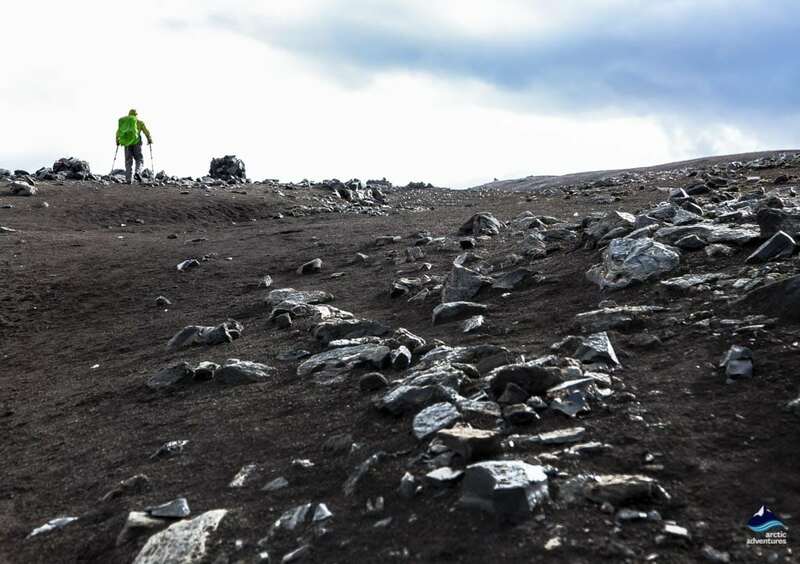 What is the Laugavegur trail like in winter? 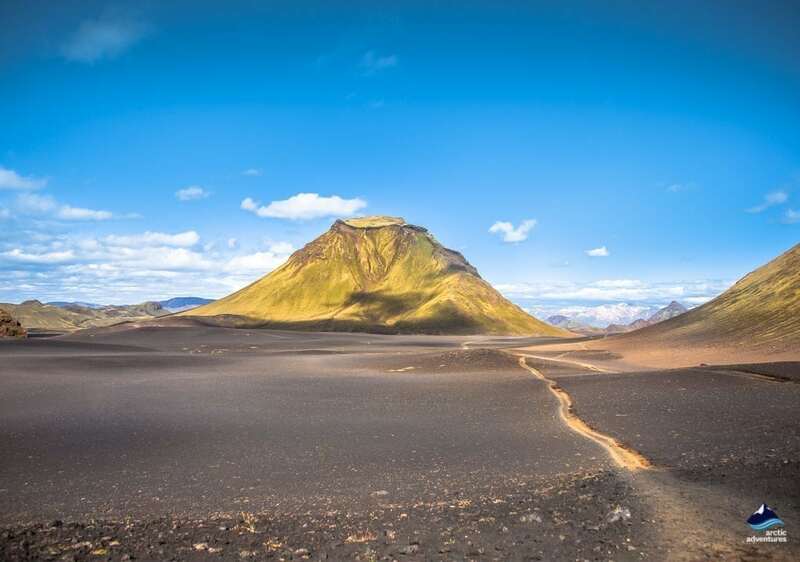 Laugavegur trail Iceland certainly merits global fame! 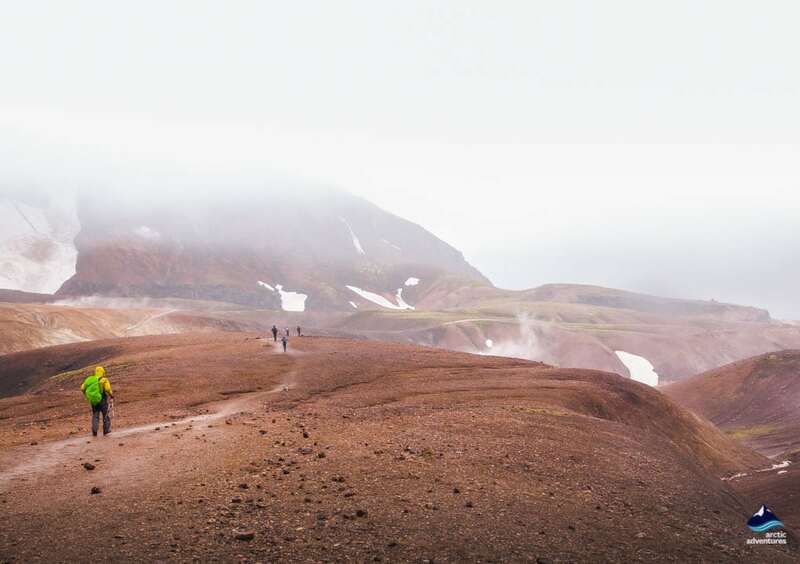 Laugavegur or ‘The Hot Springs Route’ offers you a truly one-of-a-kind trek. 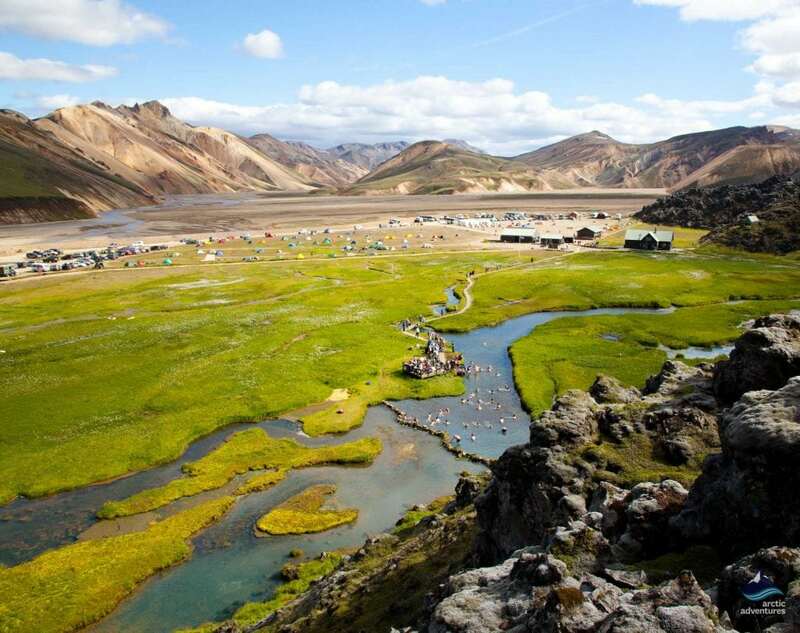 From the natural hot springs of Landmannalaugar to the glacial valley of Þórsmörk. 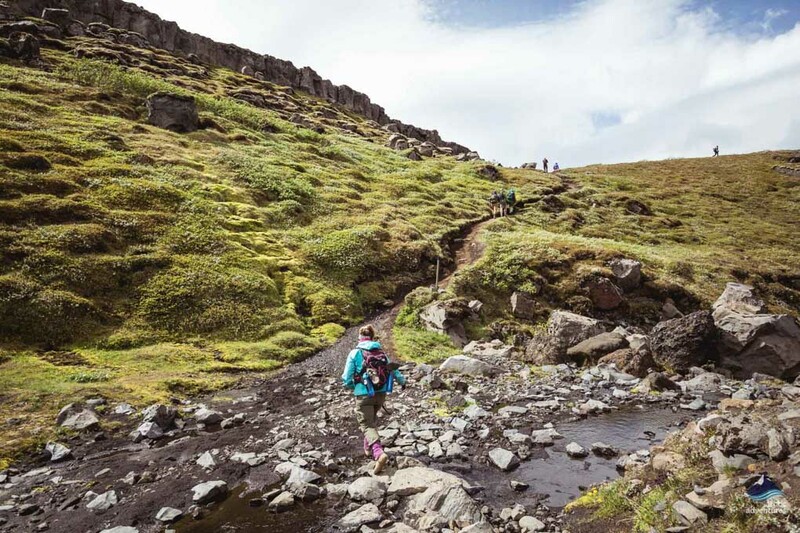 The 55 km trail encompasses the Southern Highlands’ colorful rhyolite mountains all the way to the forests and lush greenery of the Þórsmörk valley. 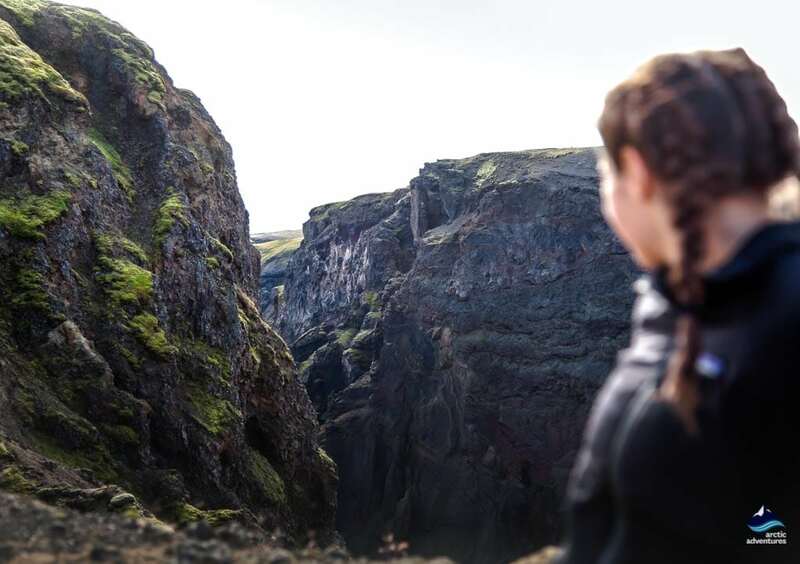 You will be surrounded by magnificent scenery and exceptional geological phenomena as part of the trail, all the way. 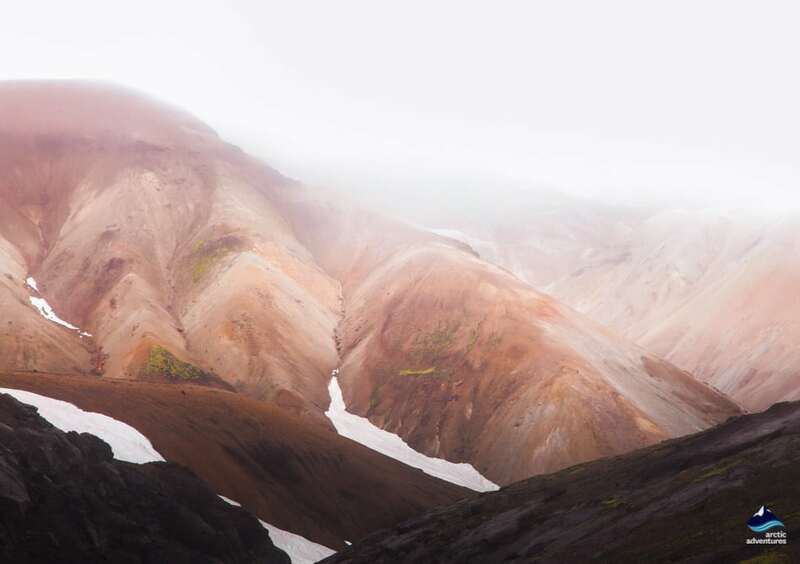 Do you long to experience the very essence of the raw, rugged and wild Highlands of Iceland? 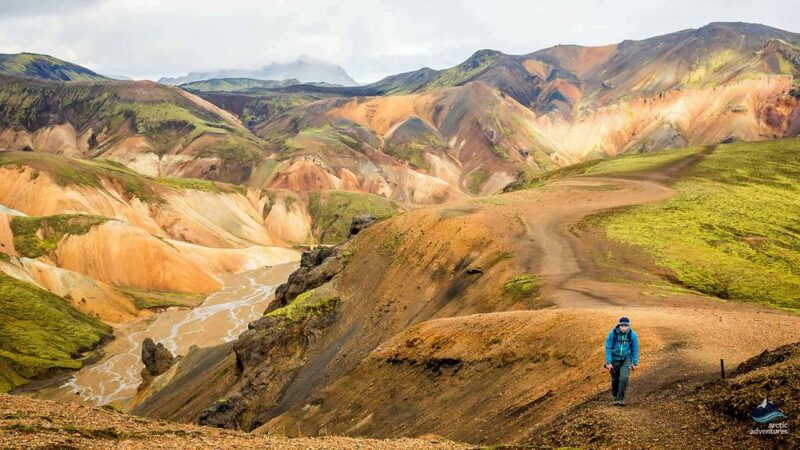 Hike the Landmannalaugar trail to Thorsmork in four days or take more time- or less time! 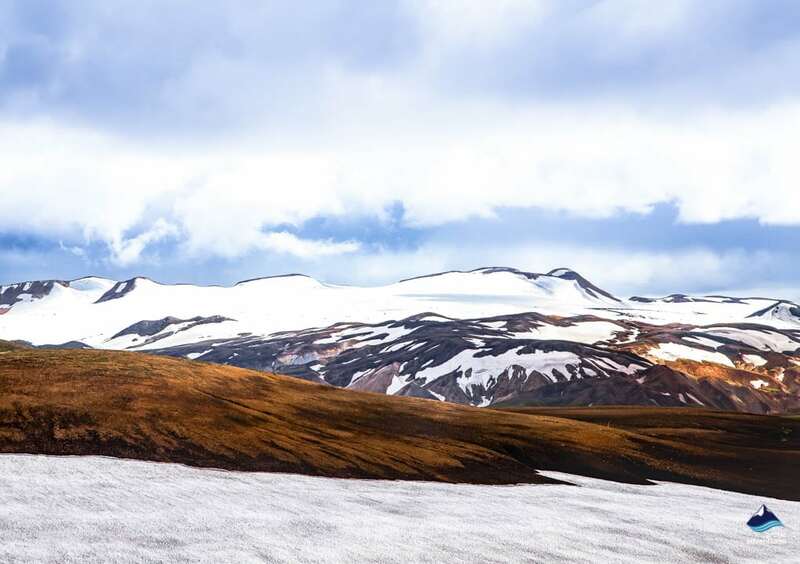 Stay in tents or mountain huts – include Fimmvörðuháls, Magni, Moði, and Eyjafjallajökull in your itinerary, or not – the choice is yours! 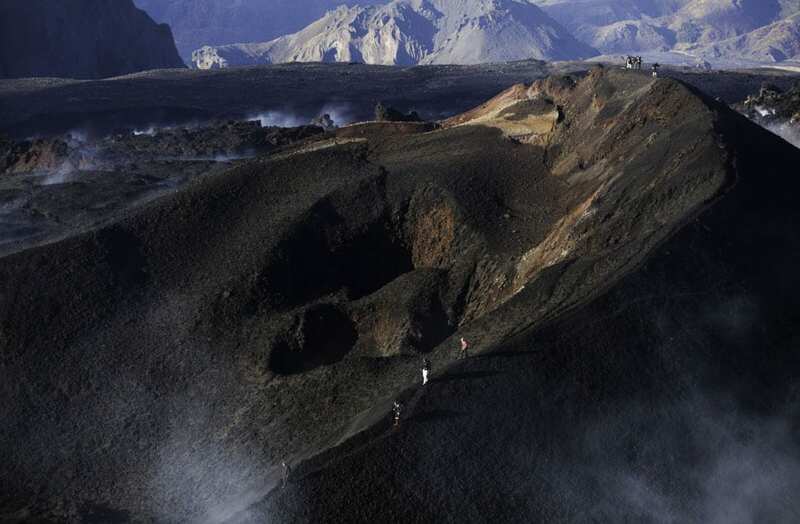 The Laugavegur trail is within the interior of South Iceland. 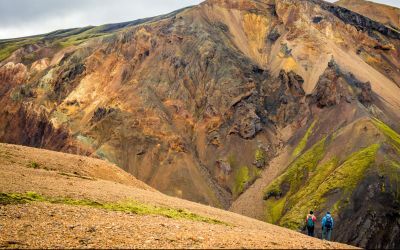 The trekking trail stretches between Þórsmörk (151 km from Reykjavík) and Landmannalaugar (188 km from Reykjavík). Both places can only be accessed using rugged mountain roads, a 4×4 vehicle insured to cross rivers is required. To get to these places on a private tour, you can either rent a car or go by bus (not advised). 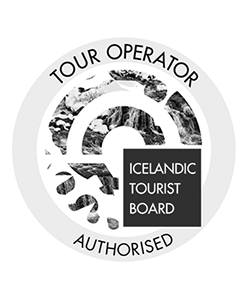 It may seem more expensive, but it is safer to go with a professional guide and a tour group. The landscape can be tricky to navigate in some areas. 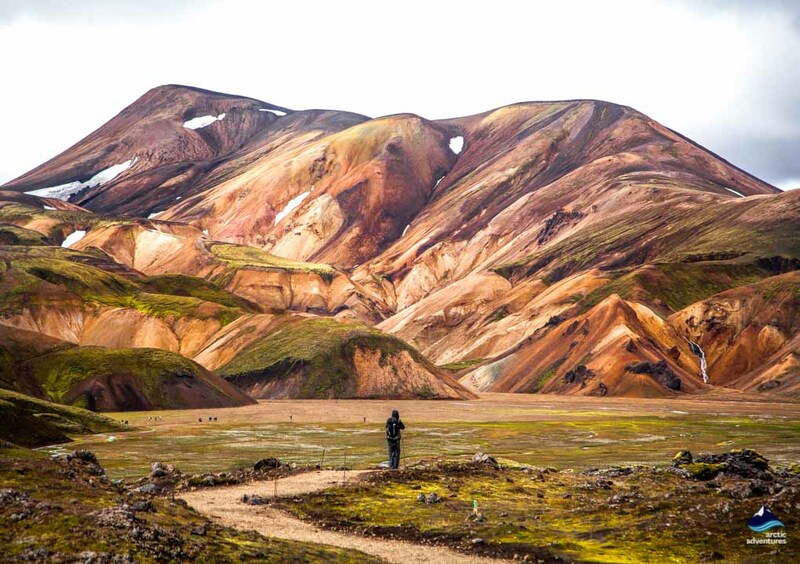 If you do choose to self-drive, the trek starts in Landmannalaugar. 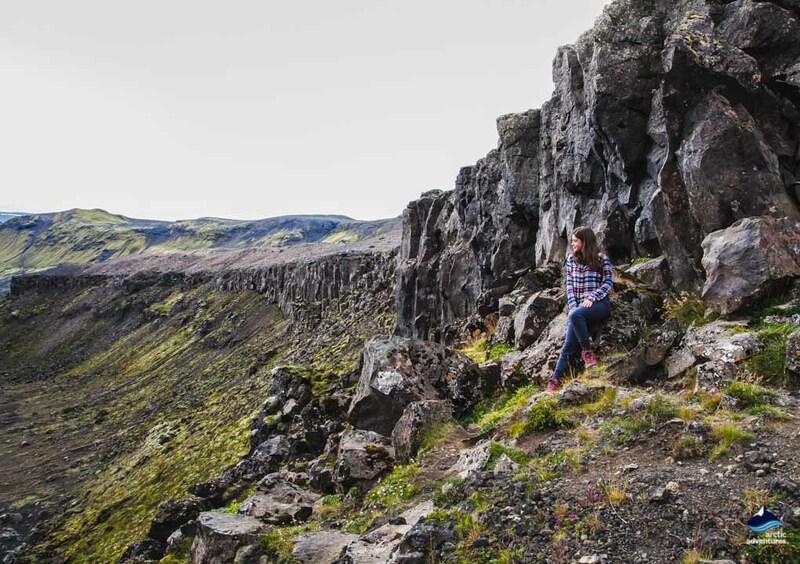 The quickest route is through West Iceland via Selfossor Þingvellir National Park. Alternatively, you can go through the more scenic South coast. 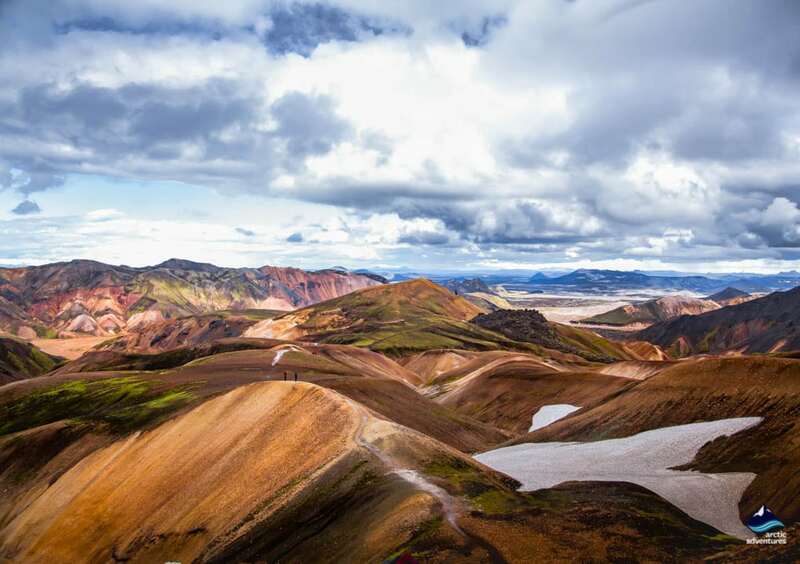 If you are visiting Landmannalaugar on a self-drive tour, you will need a four-wheel-drive and to take the roads along Fjallabaksleið nyrðri (F208) or Dómadalsleið (F225). 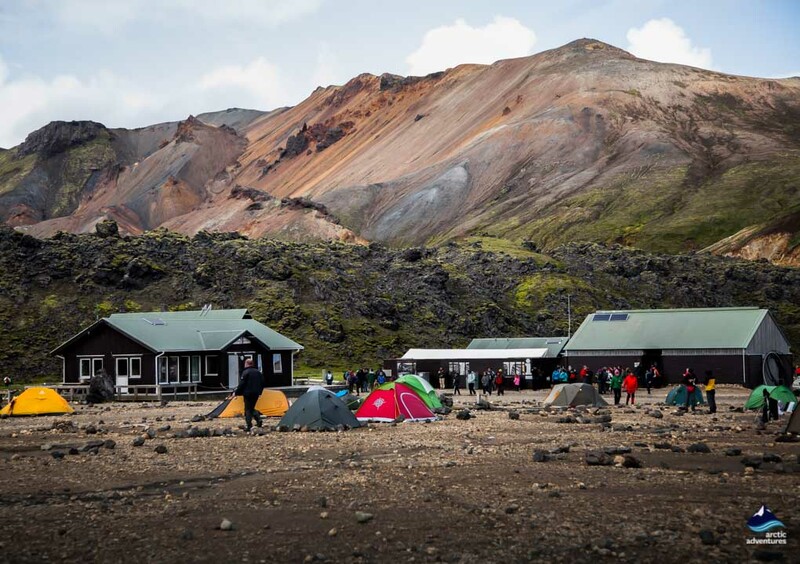 Along the route, there are six cabins and camping grounds, owned by Ferðafélag Íslands (Iceland Touring Association). The 7 cabins are fairly large, having enough room for at least 52 people and up to 78. 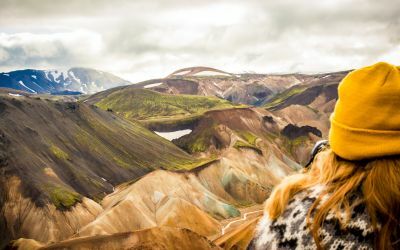 The cabins are located in Landmannalaugar, Hrafntinnusker, Álftavatn, Hvanngil, huts in Botnar, Emstrur, and Þórsmörk. 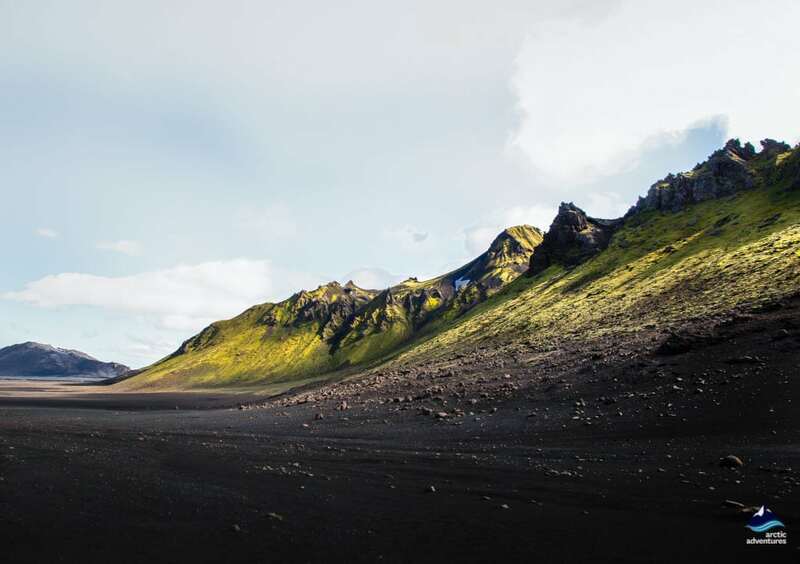 Volcano Huts are located in Húsadalur Valley in the Þórsmörk Nature Reserve, near the end of the trek. They have hot showers and a small kitchen, but ‘beds’ sell out fast, so it is best to book far in advance as it is the only way to guarantee your place. All the huts sell some supplies, such as backpacking dried food, soda, and candy bars as well as stoves and gas, but expect to pay a premium. 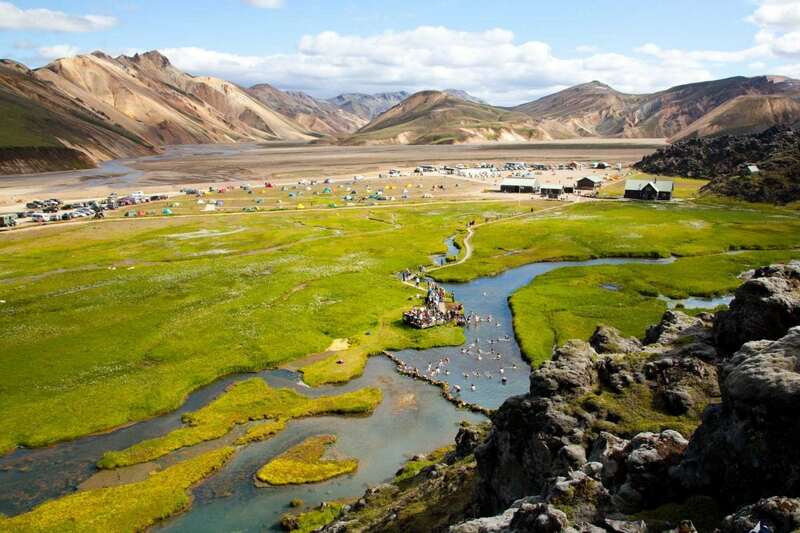 The cost per person, per night, ranges from 6000 kr in Þverbrekknamúli, up to 9000 kr in Álftavatn and Hrafntinnusker. The huts along the way are very basic, with sleeping bag accommodation split into dormitories. 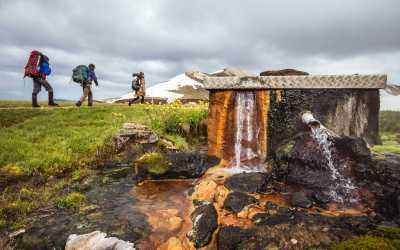 In the bigger huts you can expect both running water and water toilets but in some of the smaller ones, you will have to fetch water from a nearby stream and use an outhouse. 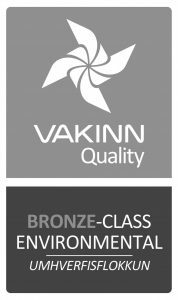 Day Guests – guests who only visit for part of the day and are not staying overnight, will have to pay a 500 kr facility fee when using the hut’s facilities, such as the lunch shelter, toilet or outdoor grill. All of the cabins along the way have suitable camping grounds. Camping prices start from 2000 kr and showers and facilities an extra 500 kr each. 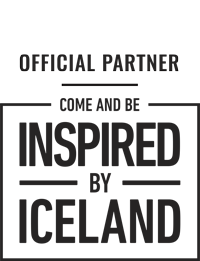 Keep in mind that it is completely prohibited to pitch tents outside of the designated areas within the Nature Reserve. Most of the huts are open and manned with wardens during the summertime but closed during the winter months due to road closures. There are a number of official guidelines that are implemented in the cabins. Cleanliness, tidiness, and consideration towards fellow travelers are important. 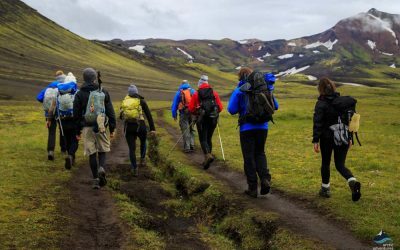 The purpose of these rules is to ensure a comfortable stay for hikers and other travelers. 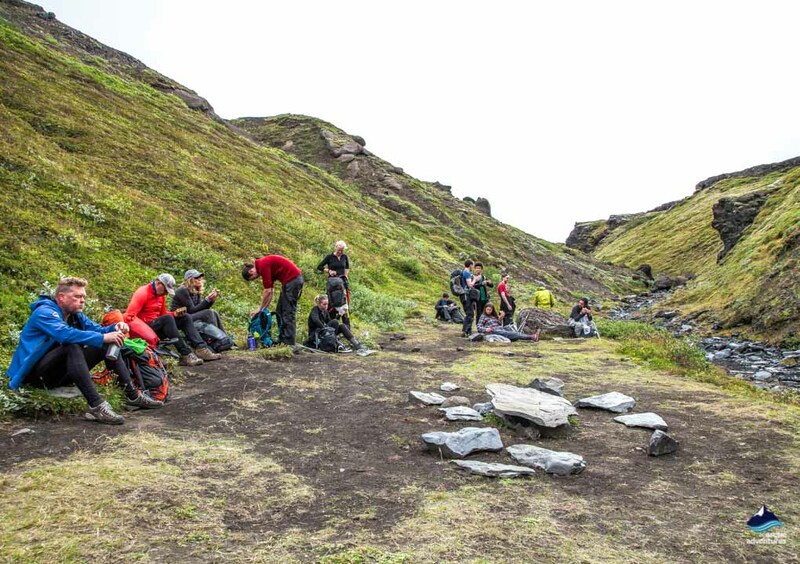 In general, the best time to take the trail is from the end of June until the middle of September. 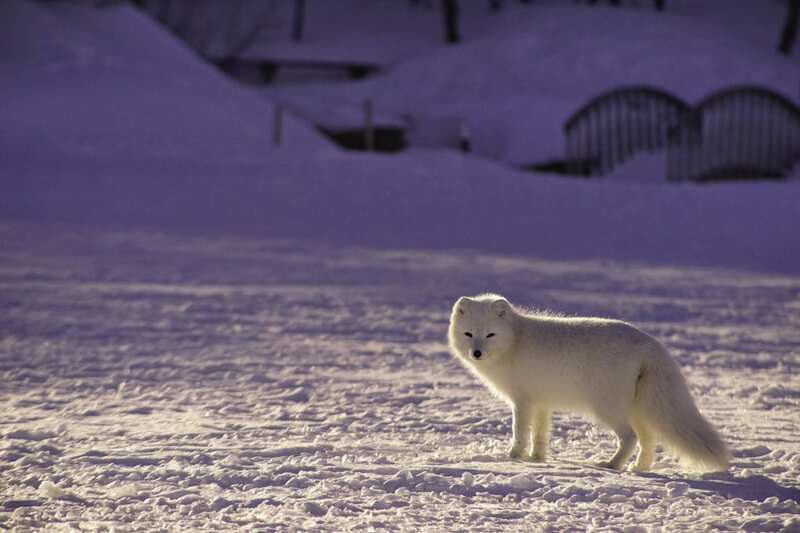 However, conditions vary and weather is always subject to change, even in summer snow is not uncommon. 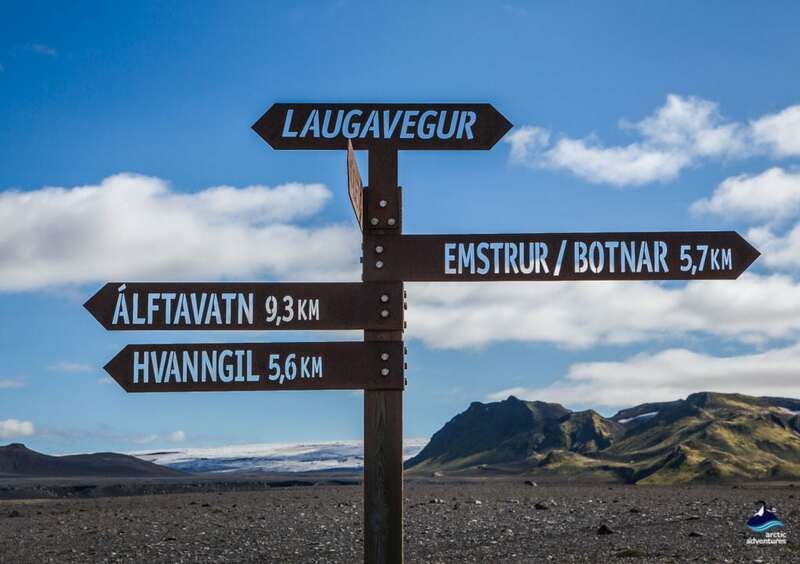 The Icelandic Road Authority closes the roads into Landmannalaugar (F208/F225/F210), as well as the roads to other huts along the way, outside of the summer season. On average the trail is open from June 25 to September 15. Remember Eyjafjallajökull? The infamous volcano eruption from 2010 that no newscaster in the world could pronounce? 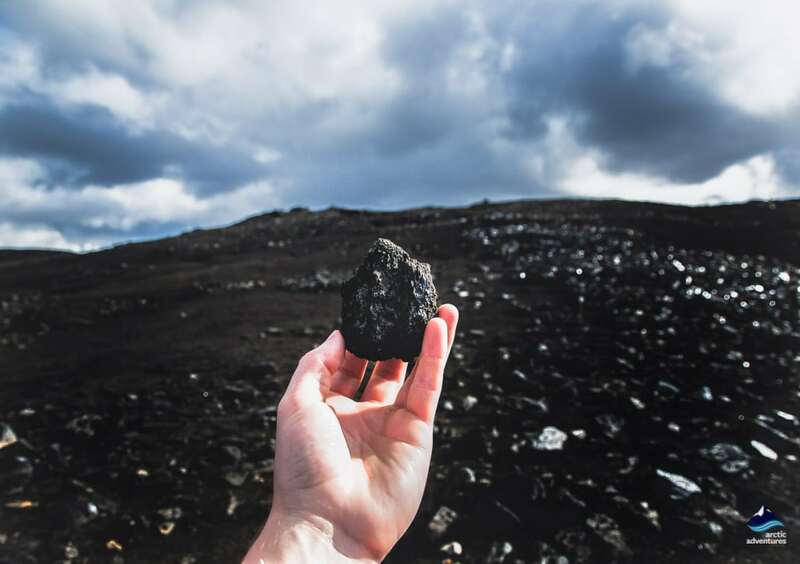 From Þórsmörk it is easy to head over the pass at Fimmvörðuháls – the site of the first eruption- to see the two new craters, Magni and Móði. 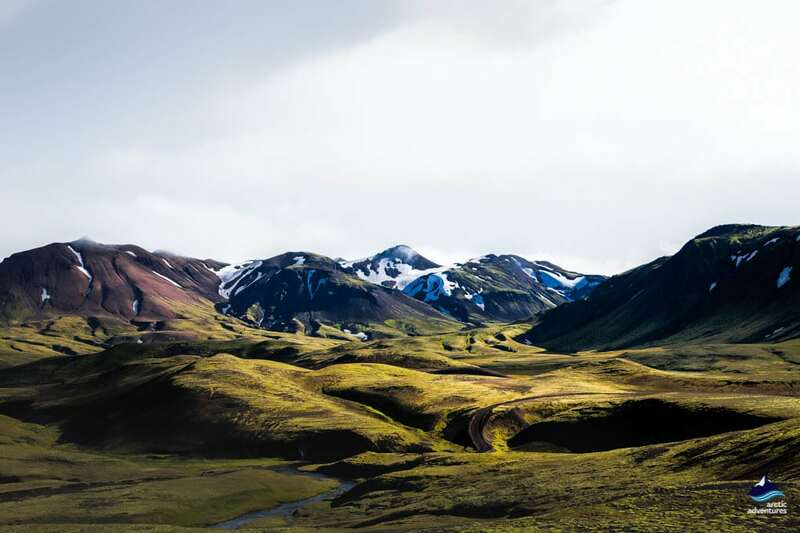 You will see the great glacier volcano, Eyjafjallajökull, probably the most famous volcano in the world! The trail is well signposted and is popular enough to follow the group ahead while still maintaining distance. However, it is definitely highly recommended that you go with a professional guide who has done this trail many times before. In bad weather and heavy fog, visibility is seriously reduced and it is easy to lose your way. 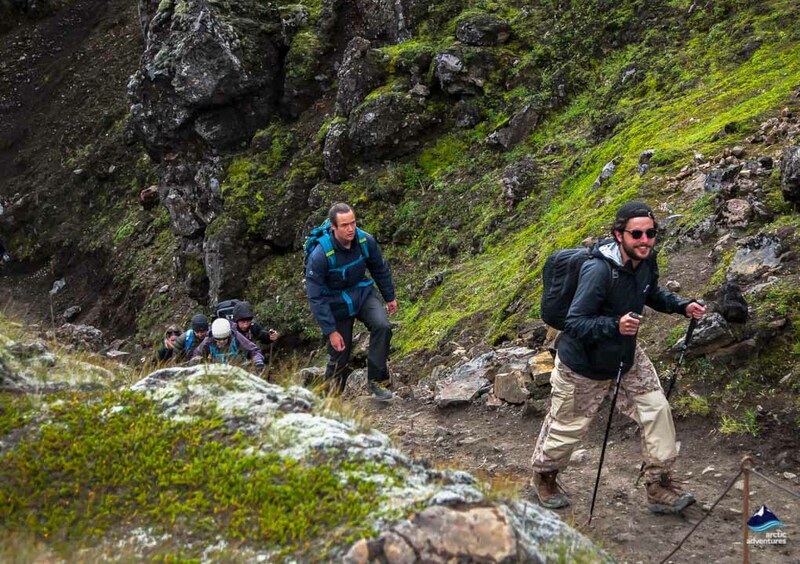 The altitude can reach over 1200 meters at some points, be prepared for all sorts of weather! This is the Icelandic highland after all! There are 3 rivers that need to be waded through en route. While the majority of river crossings are via a footbridge, care must be taken when crossing those without. Unfortunately, Mobile GPS will not help you should you come off track, as a connection on the trail is weak. There is a connection in and around all the huts and there is a small fee to recharge devices. It is absolutely forbidden to throw away and leave garbage in the beautiful but fragile open nature. Cabins will have garbage bins for you to dispose of rubbish. The entire purpose of hiking the trail is to enjoy the magnificent nature, so leave it as you found it. Hikers must exercise great care, respect and common sense for nature. 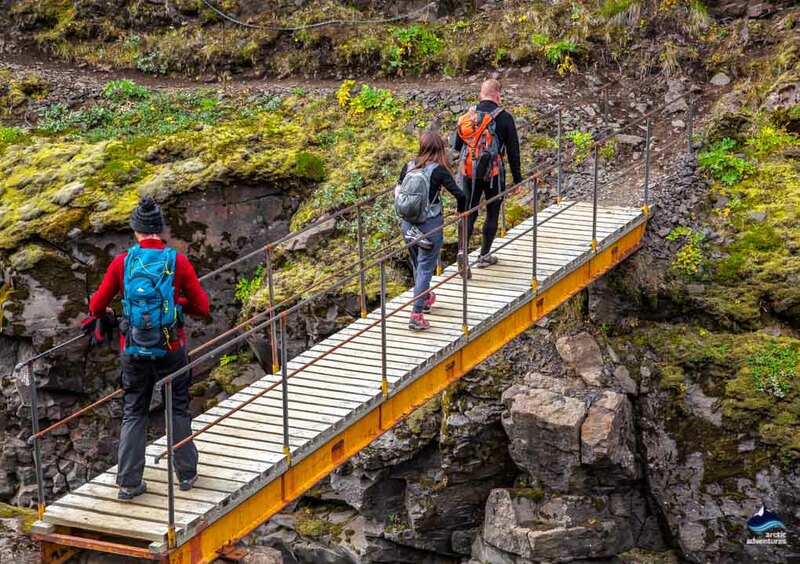 Hiking the Laugavegur trail is one of the most beautiful hikes in the world, but don’t take too many risks. During winter time the trail is best avoided. 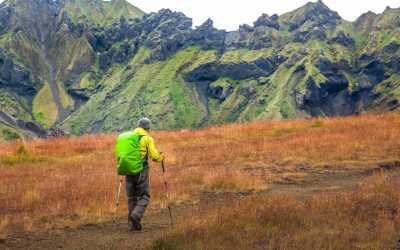 Even highly skilled hikers, accustomed to winter travel and carrying 5 season equipment should be aware of the risks. 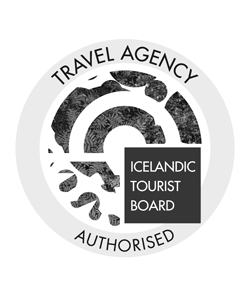 Additionally, initial access to the trail is restricted during the winter, there are no buses, neither to Landmannalaugar nor Þórsmörk. Link arms in pairs or threes when crossing rivers. Also, change into sandals or neoprene boots, DO NOT cross barefoot – it is slippery. Book campsites/ cabins weeks or months in advance. Summer is very busy. A sturdy 65L backpack with good support is ideal for a solo traveler backpacking via self-drive, while a 25L daypack works great for your own hikes between the huts if you are with a tour company. Self-navigators should pack a handheld GPS, just to be safe. Your day bag will need to carry spare layers, water, lunch, hot drinks, a first aid kit, swim kit, and a camera or phone. 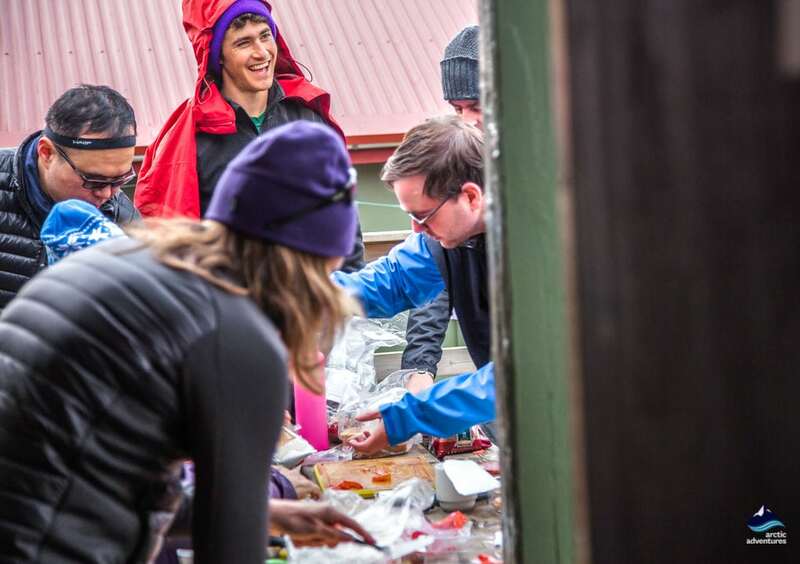 If you are not with a tour group you will need to pack all of your food too last the duration of your hike, so leave about 10L of space for that. 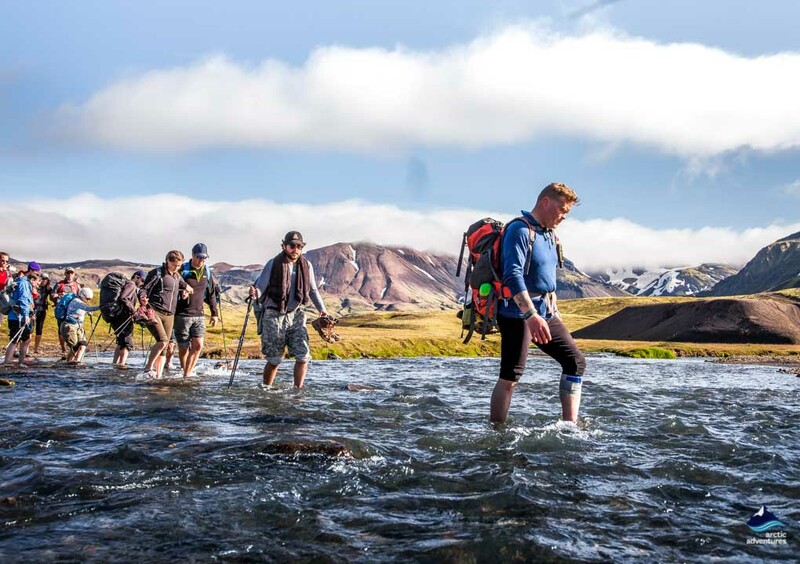 Sturdy sandals or neoprene boots are crucial as whatever route you take, you will be crossing a river at some point. The rocks can be sharp and slippery so take precaution and do not go barefoot. You will also need a set of walking poles, a head torch, and indoor shoes. A 4 season sleeping bag is needed if you are using the huts on the route, but you can leave your roll mat behind because they have mattresses provided. It is essential that you wear good quality, preferably Goretex, waterproof hiking boots that have already been broken in. Likewise high quality, wool walking socks, to avoid potential blisters. A breathable waterproof jacket with a hood, also preferably Gore-Tex, is a necessity and waterproof trousers won’t go amiss either! You will need thermal base layers and from there you can add on extra layers like fleeces and jackets. Just make sure nothing is made of cotton. 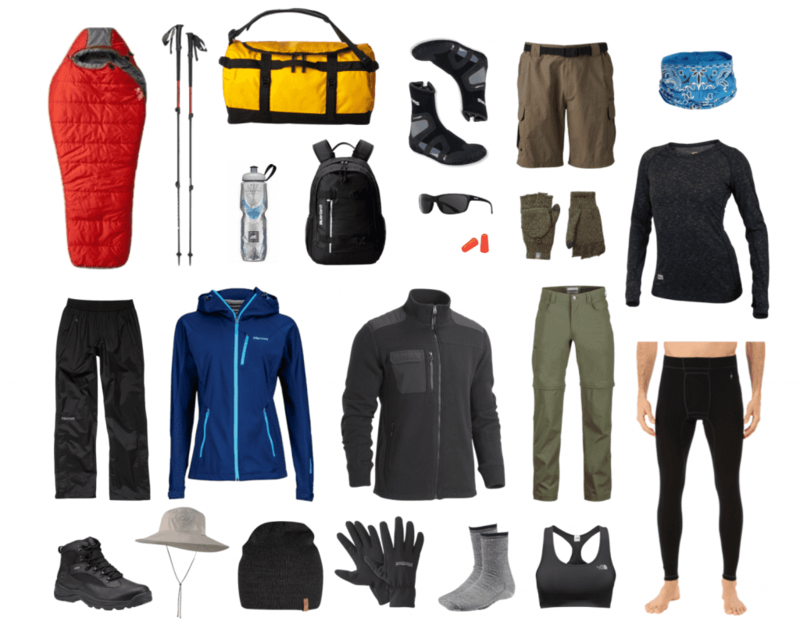 Layers are vital for hiking so you can easily add on or take off. You want quantity AND quality. On route, it is a good idea to wear waterproof trousers, gaiters and a microfleece. Also bring a hat, gloves and a buff.